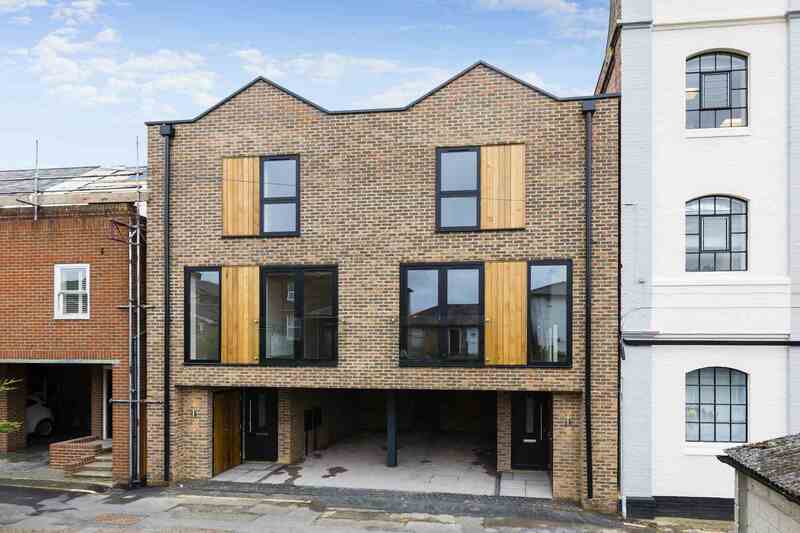 SOLD BY FLYING FISH PROPERTIES Situated within the characterful `Warehouse Quarter` this home and its mirror image twin next door, stand out from the neighbouring properties with their distinctive cutting edge design. 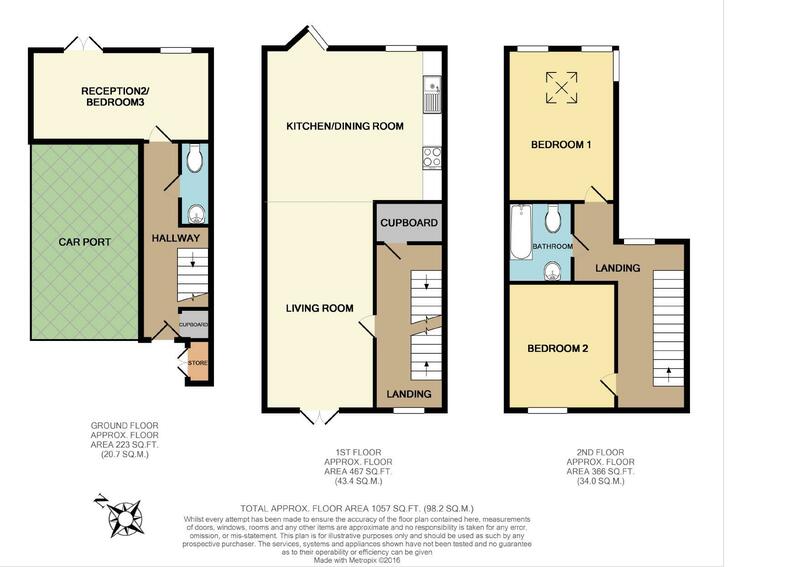 Set in a popular village location with local shops, restaurants and pubs on your doorstep you also benefit from the tranquil village offerings of the cricket green, woodland walks and open countryside. 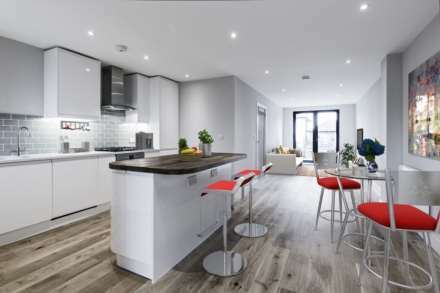 Throw in unrivalled travel links such as easy access to the M25, fast rail connections to central London in under an hour from two local stations and your professional needs are easily met too. If that isn`t enough, you can fall out of your door in the morning onto a luxury coach service straight to Canary Wharf, the City, Embankment and other central London destinations at half the cost of rail travel enabling you to slumber or work using its Wi-Fi connectivity as you travel. 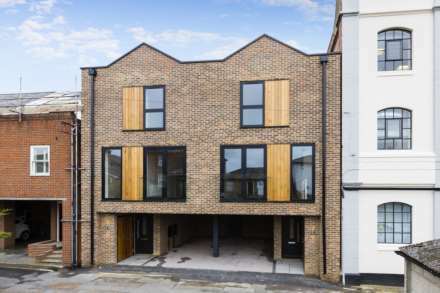 The house itself offers chic contemporary living within a mews development. 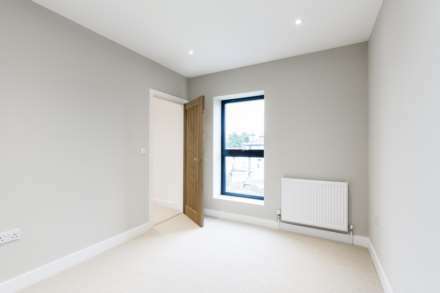 Its impeccable design offers an incredible sense of light and space which has been further complimented by the developer`s eye for detail. The exterior is a smart mix of exposed brick, glass and natural cedar wood which entices you across its neat paved forecourt. 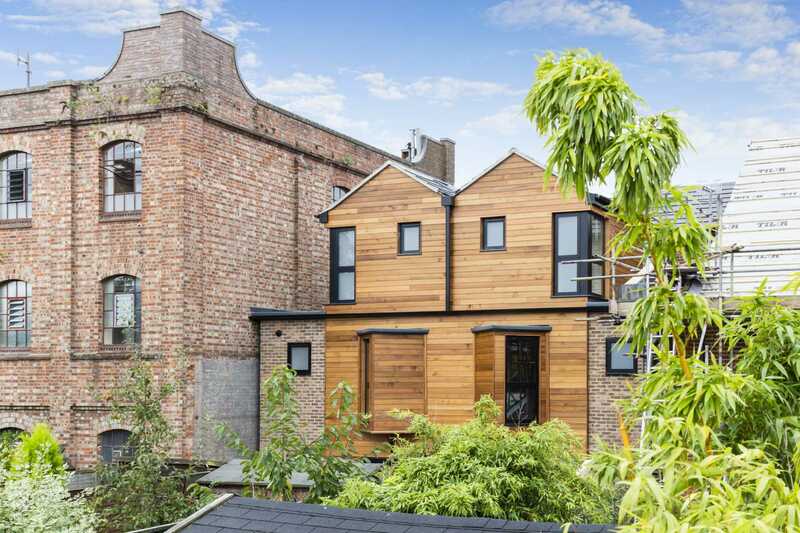 There is a wide covered off street parking space with lighting to the side and even the bin store is concealed behind stylish cedar clad doors. 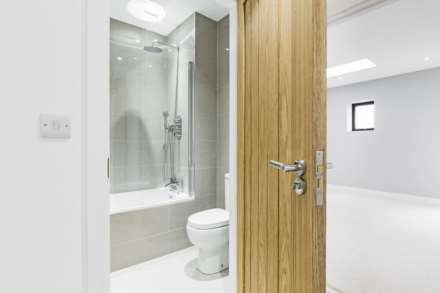 A partially glazed entrance door casts light across the entrance hallway`s engineered oak wood floor that stretches through to the rear. The warm wooden accents echo throughout the house, perfectly complimenting its elegant and neutral Farrow & Ball palette which seamlessly links each sensitively designed room. 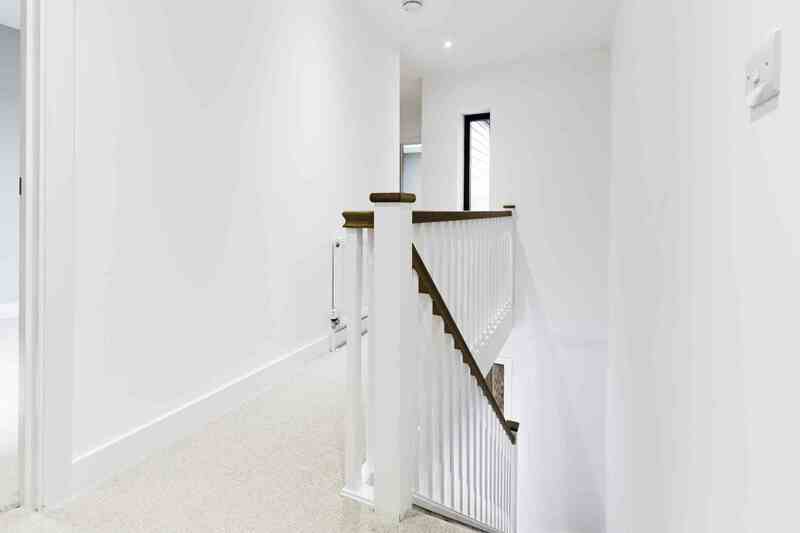 Under stairs storage and a useful guest cloakroom lead you into the bright room at the back of the ground floor. 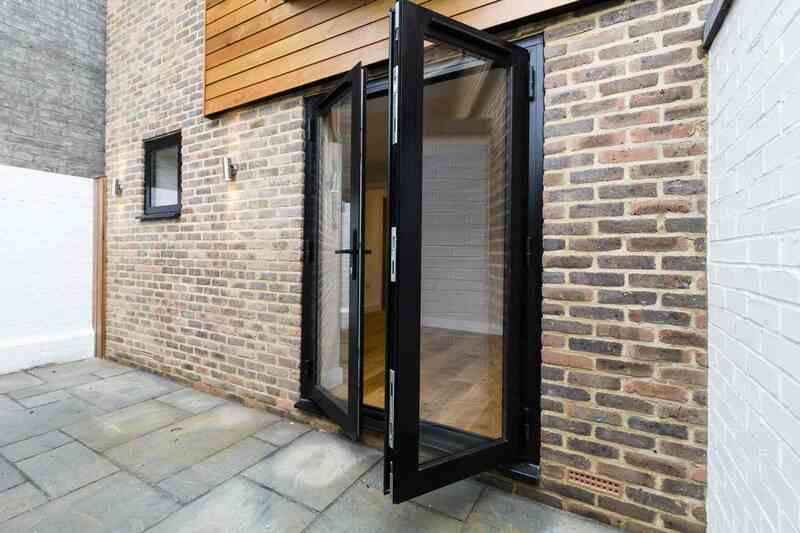 Double French doors open onto the fabulous walled courtyard which becomes an extension of the room in the warmer months making the space perfect as a second reception room, a study or a third bedroom whatever your needs. 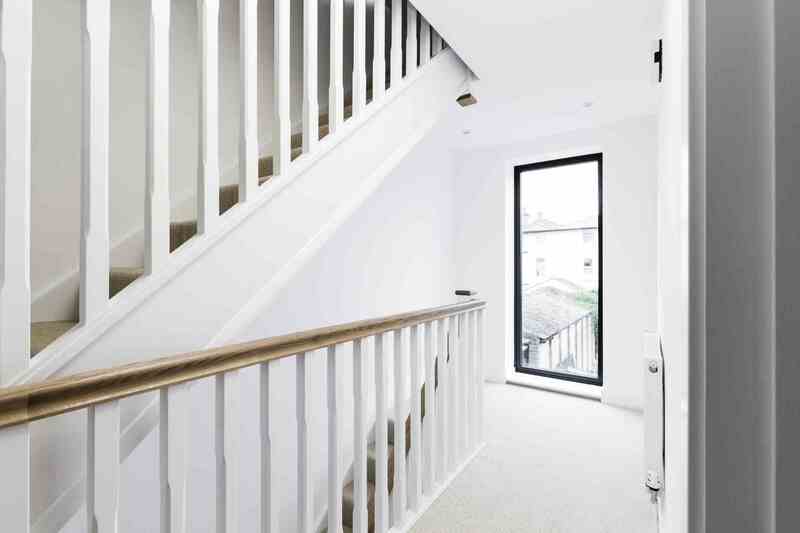 Light streams onto the staircase from a large picture window on the landing above drawing you up to the first floor with its deep walk in storage cupboard. The jewel in this home`s crown is the fabulous living room with its exceptional entertaining space and double French doors at one end through which the sun streams. 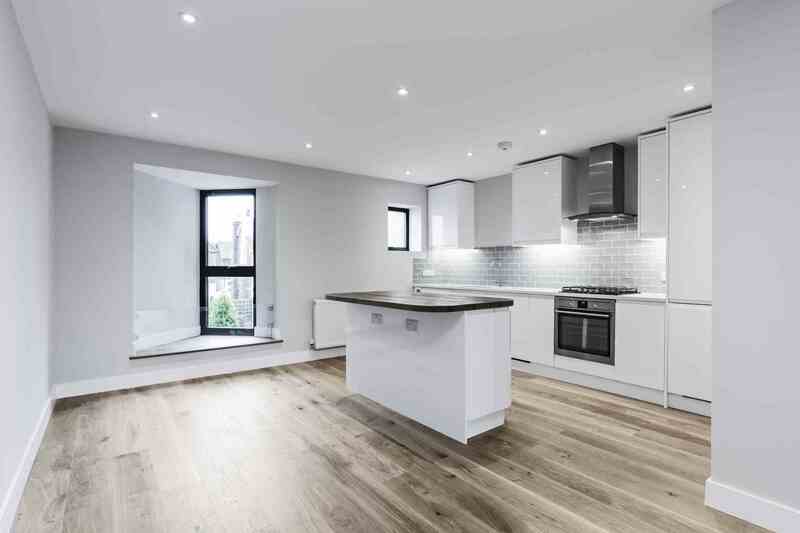 The streamlined kitchen at the rear of the L shaped room offers an abundance of sleek glossy white cabinetry, counter space and integrated appliances including an AEG oven, 4 ring gas hob and extractor, dishwasher, washing machine and fridge/freezer. A central island topped with warm oak lets friends sit and chat to you as you cook and the area to the side, perfect for a large table and chairs, means there is tons of space for both dining and living. 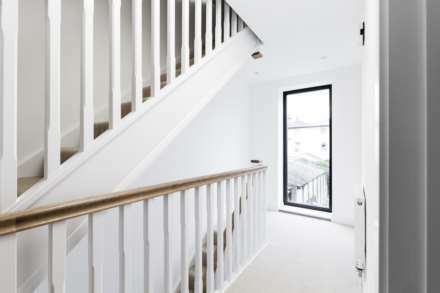 Up the stairs to the second floor brightened by a slim picture window on the landing there are two double bedrooms and a gleaming contemporary family bathroom. Both bedrooms on this floor are light and bright, one with windows turning the corner adding character and interest and a ceiling skylight. This home has been carefully designed to a high quality specification and finish and with its unique contemporary accents and unrivalled travel links it is a must see. 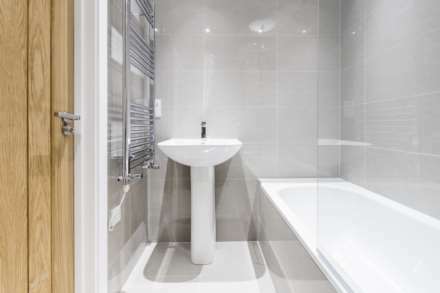 Cloakroom: with tiled floor, low level WC, wall mounted wash hand basin with mixer tap over, inset wall cupboard with internal shelving and radiator. Reception 2/Bedroom 3: 15`2 x 7`9` Rear aspect double glazed window and double glazed French doors with access to the courtyard, engineered oak wood floor and radiator. 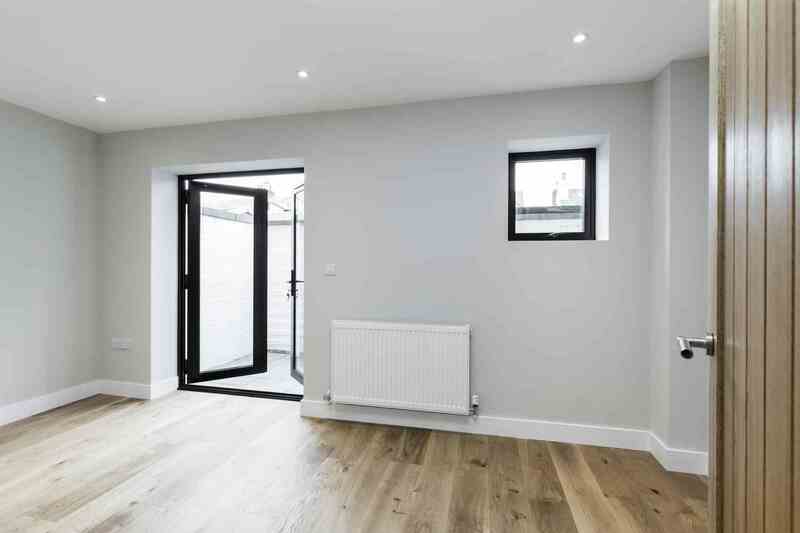 Reception 1/Living Room: 17`7 x 9`3` Front aspect double glazed doors with glass balustrade overlooking the street, engineered oak wood floor and radiator. Kitchen/Dining Room: 15`2 x 13`1` Rear aspect double glazed opaque window and angled floor to ceiling side aspect double glazed window with inset step and glass balustrade both overlooking the back of the house, electric AEG oven with 4 ring gas hob above, stainless steel extractor fan, inset one and a half stainless steel sink with mixer tap over, integrated dishwasher, integrated fridge/freezer, integrated washing machine, engineered oak wood floor and radiators. The kitchen has contemporary grey wall tiling, plenty of worktop space and a good selection of glossy white eye and base level units, one housing the boiler, with a built in wine rack and under unit lighting. A central island with an oak topped worktop with storage cupboards, drawer, pan drawers and electrical points below. 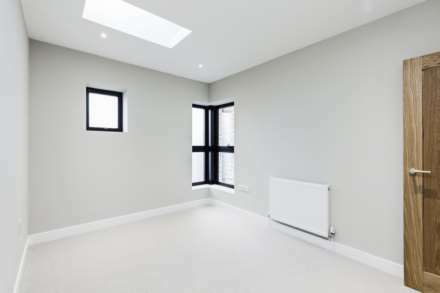 Bedroom 2: 10`9 x 9`3` Front aspect floor to ceiling double glazed window with views of the street and radiator. 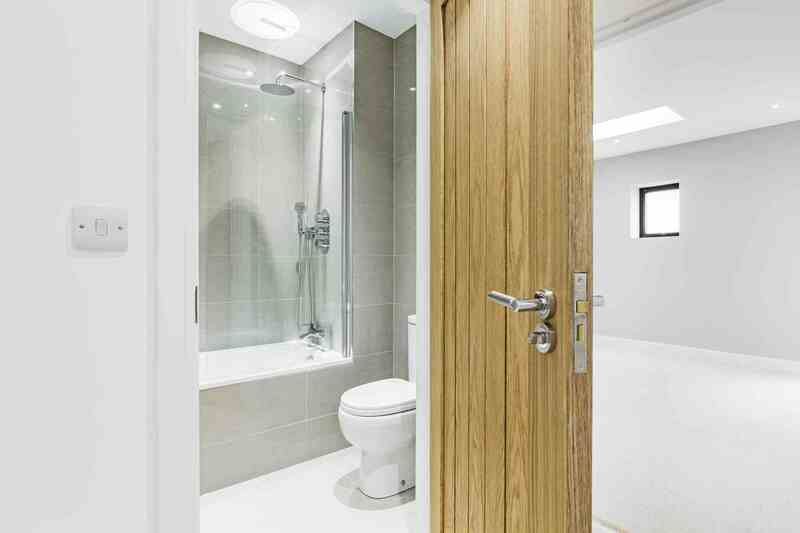 Bathroom: 6`10 x 5`7` Tiled panel enclosed bath with mixer tap over and wall mounted shower fitting and hand held shower attachment, glass shower bath screen, pedestal wash basin with mixer tap over, low level WC, heated towel rail and tiled walls and floor. Bedroom 1: 12`6 x 8`10` Rear aspect opaque window, corner part opaque floor to ceiling rear and side aspect windows with views of the back of the house, ceiling skylight and radiator. Car Port: 16`9 x 9`3` To the front is a covered car port with hard floor covering, inset ceiling lighting and a covered bin storage area. 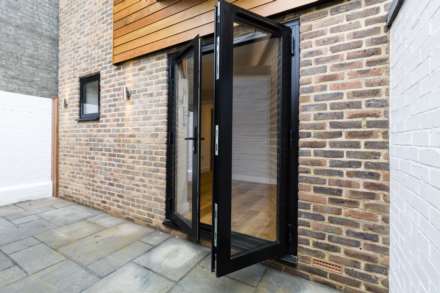 Outside: To the front is a natural stone off street entrance walkway and a covered bin storage area. 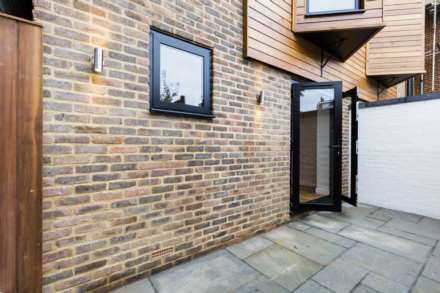 To the rear is a walled courtyard with natural stone paving and contemporary lighting which is large enough for alfresco dining - courtyard dimensions 5m x 2.46m.